Stand-up paddleboarding is like life. It’s hard. The first time I tried to stand up on a board was in a lagoon in north San Diego county. My friend (and our CFO) Keith knew of a place where you could rent a board in a protected area, where the water was mostly flat. It took me about 2 hours before I could stand. When I did, it would be for about 5 seconds, and then down I’d go. Again and again, until my quads burned and my frustration level with not being able to stand drove me to the brink of giving up. When we found ourselves on the shallow side of the lagoon, I fell a couple times into knee-deep, sticky, black mud. I wanted to throw in the proverbial towel, but the wind had blown us a mile away from the paddleboard rental place, leaving me no option. I swore the next time I’d do better. And I did – after another couple hours, I could stand on a paddleboard for all of 10 seconds. The next time, it was 30 seconds, and then, all of sudden, my body learned how to stand on a board. Total time elapsed: 5 hours. It may have taken me a bit longer to gain the skill and confidence to be able to call myself a paddleboarder, but perseverance paid off. The experience taught me an important lesson, one that I have learned again and again. Our own dedication to a goal is one thing we can control. Our will is the only thing that really stands between us and accomplishing anything. Starting a business is a lot like learning to paddleboard. Looking back, there were a lot of obvious parallels when I started my first company, CoolerEmail, 15 years ago. I was doing consulting and working on building software that made it easy for people to design, send, and track email newsletters. It took 3 years before I could stop the consulting and focus entirely on my business. In that time, I fell off my board a lot. It turns out building a business from scratch is a lot of work. There were a lot of things I didn’t know about managing servers, building software, working with vendors, finding customers, marketing, sales, processing payments, accounting, and the list goes on. Having an MBA was a start, but the degree only gave me about 10% of what I needed to know. After CoolerEmail took off, it was smooth sailing. Like paddleboarding on nice, flat water, there wasn’t much that could go wrong. We were first-movers in a new industry. We hired some people to run the business and I traveled the world. This was the paddleboarding equivalent of thinking you could just close your eyes and surf big waves like Laird Hamilton. You can’t. When I fell off my board, I fell hard. The lagoon wasn’t calm, flat water any more. There were sharks in the water, winds and waves of changing markets, and threats from every angle. In thinking I could run a business in absentia, I had let the company and everyone in it down. Getting back on the board was hard and nearly bankrupted me. There were disagreements with my business partner, clients leaving us because our software no longer was as user-friendly as our well-funded competition, and key employees leaving for greener pastures. I had to act quickly, but I couldn’t make a misstep and react by moving the company in the wrong direction. I spent a couple weeks determining my next course of action. Every business has to consider what value it can bring to its clients. We knew we could send out emails, but that was becoming a commodity. There are hundreds of email marketing companies on the market. Prices were going down. More people were sending spam. We were going to be marginalized like all of our competitors if we didn’t do something different. In talking to our clients, one of the things I heard over and over again was about getting email marketing data into other software platforms. What does that mean? Moving information around and making all the data that companies collect can be a challenging task. How do you make it easier? How do you make all that data more usable and more meaningful? Most email marketing platforms have some nice looking templates that will render well on desktops and mobile devices. Most can tell you when people are opening and clicking on links in emails you send. But the question is what does it all mean? Does a high read rate indicate anything to your marketing team? Does it impact sales at all? Answering these questions of meaning, I saw two potential paths in front of me. Each of these paths has their own challenges. I think of #1 to be like a long-distance paddleboard race over flat water. The challenge is one of finding partners and keeping the integrations with those partners up to date as they continually change and upgrade. It’s not really innovative, but you can build a business around it. You can make a long-distance paddleboard marathon a challenge. All of our competitors in the email marketing industry chose this path. Doing something differently from the rest of your industry triggers a lot of interesting responses from people. I presented my new idea, that which would lead to forming GreenRope a year later, to a room full of industry experts in the summer of 2010. The idea was to get feedback from 100 people who could point me in the “right” direction. I gave my talk, explaining my vision of creating a unified platform where you could manage marketing, sales, operations, and customer service all in one software. In front of over 100 people, I got absolutely skewered. This whole experience happened a couple years before I had ever stepped on a paddleboard, but in looking back, it was like trying to get back on your paddleboard and having someone tell you you’re doing it wrong. For a split second, I almost believed them. But then I remembered that the world is full of people who believe in doing things the way they have always been done. For every “you can’t do this”, I realized I was actually hearing “*I* can’t do this”. All this “advice” came from people who were too afraid to try something that would change the way they do business. Path #2 is like leaving the lagoon and going on the ocean with your paddleboard. You see waves crashing out there, and you are guaranteed to fall off your board again, but when you see someone out there surfing, you are filled with the inspiration of someone doing something incredible and inspiring. One of my personal heroes is Elon Musk. He is the Laird Hamilton of business, truly an icon and visionary, doing things no one thinks possible. He has heard over and over again how something is not possible, and he has proven over and over again that willpower can overcome the impossible. He has a great saying - being an entrepreneur is like chewing glass and staring into an abyss. There’s no doubt it’s hard and scary, but you can overcome those fears and build something great if you put your mind to it. "Getting by with a little help from my..."
Along the way, I have learned a lot from peers and thought leaders. Guidance from friends and colleagues have helped me see things in a different light, and they have given me emotional support when times have been tough. Criticism is sometimes hard to take and requires a combination of humility and critical thinking. Sometimes friends are right and they say things that are hard to hear. Sometimes they are wrong. A good friend will recognize that when you choose a path different from their advice that it's ok. The same goes with paddleboarding. When you fall off your board, miss a good wave, or have run-ins with the often aggressive non-aloha attitude of surfers in southern California, it's good to know your friends have your back. I've been fortunate to have such incredible friends, and the team behind GreenRope is genuinely 100% good people, who really care about what they do every day. In building GreenRope, I have fallen off my paddleboard many times. Mistakes are part of business. When you’re doing something no one has done before, you’re bound to do something wrong. I’ve had a developer walk off with $20k in pay without having written any usable software. I’ve had a customer service representative fraudulently report hours (twice). I’ve released software that had a bug in it (a few times). I’ve spent money on PR agencies that did nothing for us (several times – I won’t hire another PR agency ever again). I’ve hired SEO/PPC companies who dropped our lead flow to 10% of what it was. I’ve gone to a conference and presented to an audience of 5 people. I’ve donated GreenRope and my own hours to help a non-profit use our software only to have one of their managers insult my ability to “sell” to them. Every time you fall off your board, you learn something. You never want to learn the same lesson twice, but sometimes it happens. As long as you get back up on the board, you keep getting better. 5 years later, I can surf. GreenRope is stable, growing, and while I can’t guarantee we won’t make any mistakes, I do know we have built a solid company, with powerful, reliable software. We did it without venture capital, and without a board of directors. Our team can solve just about any problem, and we compete against companies hundreds of times our size – and win. Although we are not “done” (you should see our to-do list), we have accomplished what we set out to do. We have built a platform that does what so many called impossible. 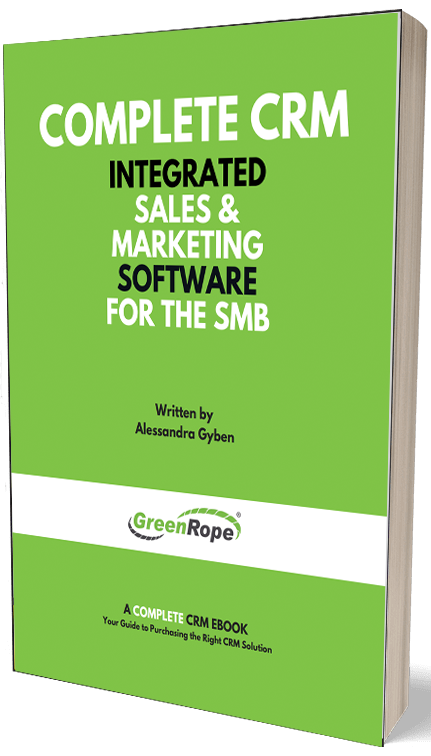 GreenRope combines sales, marketing, customer service, and operations into a single platform. We aren’t everything to everyone, but we are continually improving, listening to our clients and adapting to the market. If you have an idea and want to create something great, don’t fear falling off your board. There’s no shame in taking the established path and working harder than everyone else (path #1 above). There’s more risk with going off the beaten path, and there’s no shame in failing again and again. Act with integrity, focus your will, and persevere, and you will create something great.